I Scream, You Scream, We All Have Fun – at Your Awesome Halloween Party! Many of our great customers tell us that Halloween is one of their favorite celebrations of the year. This holiday is spooky and fun for kids of all ages. All sorts and sizes of Halloween Parties and Haunted Houses will be happening all over the Dallas and Fort Worth area. If you are planning a Halloween Party, be sure to use RentalStop.com as your one stop place for any Party Equipment rentals you may need. If you’re planning or hosting a Halloween party, you may find yourself needing some Party Equipment rentals to make your party a success. RentalStop.com is here to help you. Rent all your basic party equipment that makes every party complete, including tents, tables, chairs, decorations, dance floor lighting, and sound equipment. Rent a popcorn machine, chairs, glasses, a punch bowl, and even a punch fountain for serving drinks at your party. About a week before the party, you’ll want to start working on your “scary” area, if you plan to have one, as well as completing your shopping. We have tents and lighting that would be perfect. This is also a great time to send out a reminder to your invitation list (which is something you can set up automatically if you use an email invitation service) and to gather the final RSVP’s. 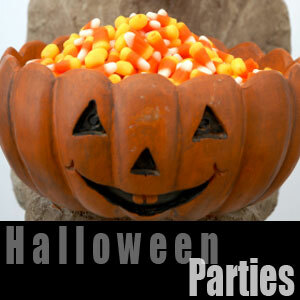 Begin working on non-perishable props such as scary table tent cards for menu items and props for the party area, etc. Ensure you’ve got everything you need for your own costume! Complete your grocery shopping, decorate the house, run through a final checklist to ensure you’ve got everything you need, and prep whatever food or make-ahead dishes you can (trail mix, dry goods, etc.). Your rental items will most likely arrive today, so you can set them up and test them out to ensure you’re ready for the party tomorrow. Finalize your decorations, and handle whatever food prep you can (marinating meat, preparing desserts, ice down the drinks, cleaning the house, setting up outdoor decorations, finalizing your costume, making sure the cameras are charged or have fresh batteries, etc.) One of the most important things you can do today to prepare for your party is to get a good night’s sleep. There will be lots to accomplish tomorrow, and if you are well-rested and well-organized, you’ll breeze right through it and be able to relax and enjoy yourself during the party – which is the way it should be! The only tasks you should have left for today are the ones that cannot be handled any earlier (for example, mixing the punch, making finger sandwiches, last-minute touches, etc.) Today is about setup and final touches – putting out the food and drinks, lighting the candles, putting on the music, turning on the rental smoke machine and lights, etc. Have fun on the day of your big event and be sure to come back and post a comment here or on our Facebook Page to let us know how it all turned out! Halloween is a lot of fun no matter what age you are. We love to get a little bit scared, and people love to take a step away from reality, and become another being or character for a night. Let your imagination run wild this Halloween, with fabulously frightening party rentals, and create a ghoulishly fun party that everyone will find spooktacular. Let the Rental Stop Team make your Halloween Party simpler in the Dallas Fort Worth area. Give us a call today and one of our experts will be glad to guide you to success! You can also join us online at www.rentalstops.com. or call 972-336-0059. This entry was posted on September 5, 2011, 3:50 am and is filed under General. You can follow any responses to this entry through RSS 2.0. Responses are currently closed, but you can trackback from your own site.